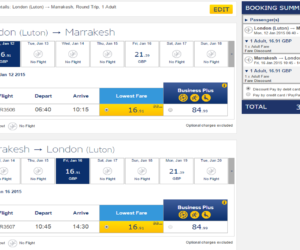 Most of the flights go into Marrakech and so this is a great place to start off. 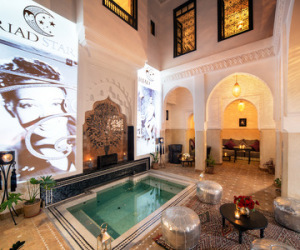 No trip to Morocco is complete without staying in a Marrakech Riad. These are converted merchants’ houses built around a courtyard and make wonderful boutique hotels. Expect to pay from £60-100 per night B&B for a room for two and you’ll be impressed with the quality. 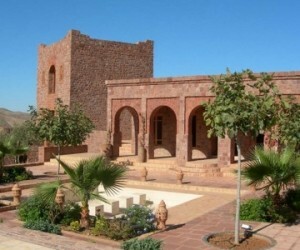 As well as the riads there are wonderful boutique hotels and villas with beautiful gardens in Rural Marrakech and only 30 minutes away you are in the foothills of the Atlas Mountains with its Kasbahs and retreats. You can’t think of Morocco without an image of a camel sailing through the sands and for many a trip to the Sahara is the highlight of a Morocco Holiday. It is a fantastic 3 or 4 day trip from Marrakech over the Atlas Mountains and in to the desert and we strongly recommend a night in a desert camp under the stars. 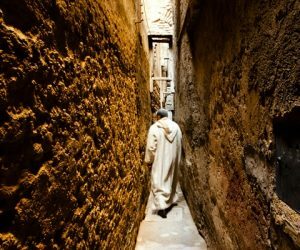 The Sahara can also be combined with a longer trip taking the cities and the coast, and the best of all includes Fes with its historic souks and the Roman ruins of Volubilis nearby – The Grand Tour. With so much to see it is important you plan your time carefully. Scroll down the page to view our interactive map and have a look at our Morocco itineraries page for ideas or better still give us a call for a chat. The biggest city in Morocco and an industrial sprawl. We generally advise not stopping there and even if flying to Casablanca head North to Fes/Rabat or south to Marrakech/Essaouira. If you are passing through it is worth visiting the spectacular seafront mosque. The second good dune area of Morocco is Erg Chebbi by Merzouga - easier to get to (no 4x4 needed) and whilst the dunes are stunning we prefer Erg Cheggaga for a proper desert experience. Not only is Morocco a country of great cultural riches, it is also geographically varied and therefore offers the independent traveller a huge variety of holiday experiences in a short space of time - you can easily see 3 totally different aspects of Morocco in a week's holiday - see the Itineraries section for some ideas. The north of the country has a Mediterranean coastline and a strong European influence. Behind this coastline sits the Rif, a fertile region of high mountains, gorges and interesting rock formations. 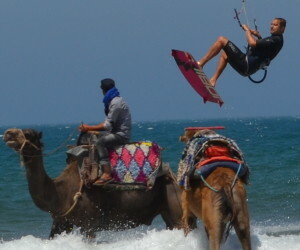 The west of Morocco is dominated by the Atlantic coast and there are many beautiful beaches and water sport activities on offer. Essaouira is situated in a prime location on this coastline. Inland are the impressive Atlas Mountains, home to the Berber people, and perfect for hiking, trekking and biking holidays. The south of Morocco is a vast region of deserts, mountains and oases, where nomads still travel around in a centuries old tradition. Marrakech stands at the foothills of the Atlas and is a perfect centre from which to explore the Atlas, Desert and Coastal area. To explore the whole of Morocco could take a lifetime. We have focussed on the three main centres of Marrakech, Essaouira and Fes along with tours and trips to include the Atlas Mountains and the Sahara Desert. Please email us or phone us (0207 112 0019) for a chat about how to best use your time. We especially liked the Majorelle Gardens which is only a short and cheap taxi ride away from the Medina. Very peaceful and relaxing inside with an interesting Berber museum and a small café which offers a nice lunch. 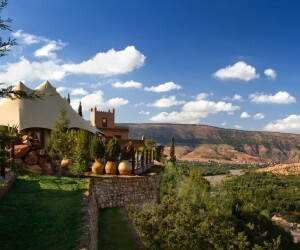 La Mamounia is a really luxurious and expensive hotel but a well worth a visit. Have a drink in the grounds and then wander around the gardens. Of course the souks in the Medina are a must. Avoid the local guides who will come up to you and offer their services. Be polite and refuse them but if you do need a guide your riad will arrange one at a sensible price. We prefer to find our own way around and have some friendly banter with the stall owners many of whom speak English. We even found one character who spoke a little Welsh! The Place Djemaa el Fna (The Square) is a great place after dark when the whole place comes alive with all sorts of activities and shows going on. We did not have any problems but I should imagine that it is a great place for pickpockets to operate in the crowds whilst watching the snake charmers etc. so don’t walk around wearing expensive watches or taking more than a few Dirhams for use in the evening. Our riad had a safe so all valuables could be left safely there whilst out and about. We are very proud of our drivers! 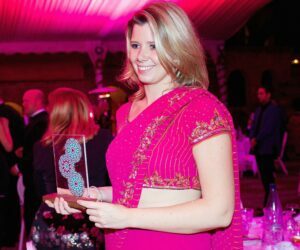 I would just like to drop you an e mail to say what a wonderful holiday we have just had in Morocco – the Riad and Hotels were all first class and the whole tour worked like clockwork. Your driver Mahjoub is worth his weight in gold – he was helpful in every way, and took us just where we wanted. His experience in the desert was a godsend as the camp at Chiggaga had been cut off for two days, but he managed to get us in and out with this local knowledge. Yoga instruction will be provided at the Luxury Camp of Erg Chigaga from 4 to 8 November. It is NOT though a yoga retreat. It is an optional activity that guests can choose to participate in. Private lessons costs 50 euros. ‘Restaurants we ate at Les Alizes In Essaouira and the food was exceptional – this was in the list of recommendations that you provided.